Many people use apple cider vinegar as a form of alternative medicine to help with many different types of health ailments. Made from fermented ripe apples, apple cider vinegar contains many vitamins, potassium, sodium, magnesium, beta-carotene, calcium, pectin, iron and malic acid. Malic acid is known to fight bacterial and fungal infections as well as dissolve uric acid, which are the roots of many major kidney issues and problems such as toxin buildup, chronic renal failure, kidney stones and pyelitis. Many people use apple cider vinegar to eliminate toxins from the kidneys and bladder. These toxins can build up over time and are caused by processed foods and other environmental factors. Add 1 to 2 tsp. of apple cider vinegar to an 8-oz. glass of water and drink it daily to prevent future problems. 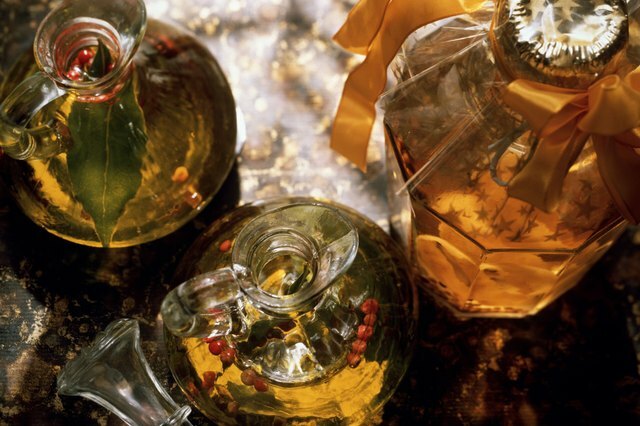 If the taste of the vinegar is too intense, add honey to the drink. Some people with ongoing renal issues use apple cider vinegar as a regular dietary supplement. The vinegar can act as a purifier to break down fatty deposits in the body and help prevent urine from being too alkaline. It is also sometimes used to help treat chronic renal failure in pets, such as horses, dogs or cats. The apple cider vinegar is added to food to bring down high pH levels. Discuss this natural treatment with a doctor or veterinarian to ensure it doesn’t counteract with any other medications. Apple cider vinegar is sometimes used to help with kidney stones. The theory behind it is that the acids in the vinegar can soften or dissolve kidney stones in order to break them up. One major ingredient in apple cider vinegar is potassium, which is known to be essential for the growth of the body and replacement of older tissues. Some kidney stones are caused by potassium deficiency, so that is why the vinegar may help. Pyelitis, also named pyelonephritis, is typically a kidney or urinary issue caused by bacteria in the bladder. It usually stems from some form of E. coli infection in the kidneys or urinary tract. 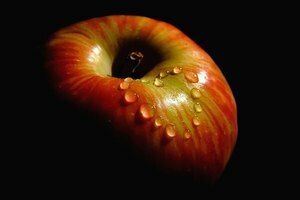 Drink water with apple cider to flush out the bacteria. Some people believe that most kidney and urinary tract infections can be prevented before they begin by drinking a glass of water with 1 tsp. of apple cider vinegar per day. What Foods Are High in Hydrochloric Acid? 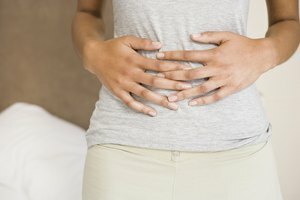 Can I Drink Vinegar to Flush Out My System?